A hospital in Central China is using smart tech to help automate distribution of vaccines to children, reported the Hubei Daily. 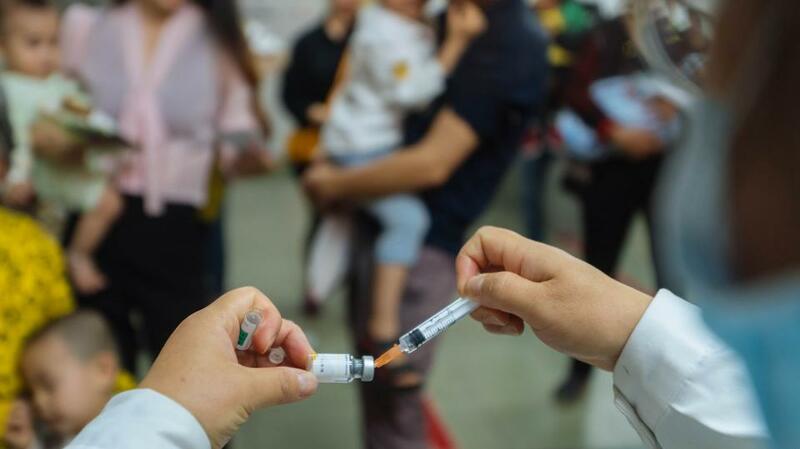 A hospital in Wuhan, capital of Hubei Province, joins others in several cities across China relying on smart technology in response to a government work report during the latest two sessions that singled out vaccine safety as a top priority. The “smart hospital” system eliminates waiting in line or for a doctor’s prescription by allowing guardians to first sign their children up for vaccines on the clinic’s WeChat account. This produces a unique QR code, which then hospital staff scans so the system can automatically register the patient, prescribe the correct vaccine and assign an exam room. Once in the exam room, refrigerated vaccine storage units will dispense the correct vaccine for nurses to collect and inject. The storage units also will automatically prevent any expired vaccines from being distributed. The system also sends important info to the guardian’s phone about the vaccine and any side-effects. The system not only aims to address public concern about vaccine safety but also keeps parents informed about each vaccine’s production, dosage and other vital information, read an article in the Guangming Daily. However, technology should only play a supplementary role to human doctors and monitoring, read the article.